Cuba: What are the names of the 53 prisoners? In addition to the return of Alan Gross and the release of our intelligence agent, we welcome Cuba’s decision to release a substantial number of prisoners whose cases were directly raised with the Cuban government by my team. @Fausta @WSJ #Cuba's pol. prisoner population figure is constantly distorted by the Communist Party. Wonder what figure @NSCPress agreed to? The 53 are part of a deal that included impregnating (through artificial insemination by having his sperm collected at prison in the U.S. and then flown to Cuba at U.S. taxpayers’ expense) the wife of a spy serving two life sentences for murder. U.S. taxpayers also paid to fly the spy to Cuba, where he was received as a hero, and the U.S. government paid about $3.2 million to Alan Gross. Cuba’s most prominent dissidents say they have been kept in the dark by U.S. officials over a list of 53 political prisoners who will be released from jail as part of a deal to end decades of hostility between the United States and Cuba. For years, dissident leaders have told the United States which opponents of Cuba’s communist government were being jailed or harassed, but they say they were not consulted when the list of prisoners to be freed was drawn up or even told who is on it. The lack of information has stoked concern and frustration among the dissidents, who worry that the secret list is flawed and that genuine political prisoners who should be on it will be left to languish. “We’re concerned because we don’t agree with the silence, because we have a right to know who they are. Who are they?” said Berta Soler, leader of the Ladies in White dissident group, which marches in Havana on Sundays to demand the release of prisoners. “There are not just 53 political prisoners, there are more, and we are concerned that the U.S. list might have common criminals on it,” she told Reuters in Havana. It also is not clear if some prisoners were kept off the list because the Cuban government refused to release them. Mary O’Grady is also asking, Where Are Cuba’s Political Prisoners? Bottom line: The U.S. government cannot confirm that they have been released and is not certain they’re going to be released, even though the three Cuban spies have already been returned. If Mr. Obama is serious about selling U.S.-Cuba detente, a little less obfuscation would be nice. The U.S. has not confirmed the identity of the intelligence asset who it says had been in a Cuban prison for nearly 20 years and was also traded for the Cuban spies. Mr. Obama said the Cuban, before his arrest, had supplied key information to the U.S. that led to the nabbing of those spies, as well as three others. Press reports and intel experts I talked to say the “asset” is Rolando Sarraff. But a debate is raging in the intelligence community about whether Mr. Sarraff, who has not been heard from since his arrival on U.S. soil, is all he’s cracked up to be by Mr. Obama. Another possibility is that his résumé was embellished to cover up for what was essentially a trade of the convicted spies for Alan Gross, the U.S. Agency for International Development contractor who was arrested by Cuban state security in Havana in 2009. Considering how the Communist regime has a history of touting the release of prisoners for propaganda purposes, this secrecy around the names of 53 people is extraordinary enough that, by now, my question is, is there a list? The lack of transparency equals lack of accountability. Just what one would expect from the Obama administration. * Note: Unusual enough that I can not recall a news item in ten years of blogging where two weeks’ research turned out nothing. Yes. They threw in a baby with the bath water. head of the spy ring known as the Wasp Network, was convicted in 2001 of conspiracy to commit murder for his role in the Brothers to the Rescue incident that left four Cuban-Americans dead. “We can confirm the United States facilitated Mrs. Hernandez’s request to have a baby with her husband,” spokesman Brian Fallon told CNN. In exchange, Alan Gross was not allowed to attend his mother’s funeral when she died last June. Yesterday I said, “There will be more coming from these – up to now – seemingly unrelated stories.” Little did I know a baby was in the deal. Alan Gross, the American political prisoner held by the Communist Cuban regime for five years, has been released. In December 2009, Alan P. Gross was arrested while in Cuba working as a U.S. government subcontractor for the U.S. Agency for International Development (USAID) for bringing satellite phones and computer equipment to members of Cuba’s small Jewish community. He was held in jail, and, in March, 2011 was convicted for “acts against the independence or the territorial integrity of the state”. What does “acts against the independence or the territorial integrity of the state” means? It means that, in Cuba, attempting to provide access to the internet is a crime. Administration officials have said that his captivity has precluded any modification in U.S.-Cuban relations, so his release could clear the way for discussions about a broader deal. President Barack Obama is expected to make a statement about Cuba from the White House at noon on Wednesday. I fully expect Obama to declare an end to the embargo before year’s end. Will that be his “statement about Cuba from the White House at noon”? The Cuban government had linked Gross’s release to the imprisonment of five Cubans convicted in 2001 of infiltrating South Florida military installations and spying on the exile community. The men, considered heroes in Cuba, were convicted in 2001 in Miami on charges including conspiracy and failure to register as foreign agents in the U.S. The administration had repeatedly ruled out a swap, saying the USAID subcontractor wasn’t a spy and can’t be part of a spy-for-spy swap. But news reports Wednesday indicate that three Cubans were released in exchange for Gross. The other two of the so-called Cuban Five were previously released after completing their sentences. This is a major setback for the opposition and dissident movements in Cuba. The Obama administration, by making this “deal”, has confirmed that they are OK with the repression, brutality, incarceration, and murder the castro regime foists upon the opposition. And I will once again say what I have been saying since day one of this farce of a presidential administration, for the record: faced with the fact that he is, by far, the worst President this nation has ever seen, and with no true positive legacy, Obama is relying on the low hanging fruit of the Cuban embargo to placate the left. Look for President Executive Action to undermine codified US Cuba policy. Get ready. This is going to be one hell of a day. Read also my post at Da Tech Guy Blog. CBS News affiliate in Miami stated Gross will not be with Obama at the WH press conference. This prisoner swap sends a signal to rogue regimes and actors that taking an American hostage can be leveraged into scoring policy concessions. This makes America less safe and emboldens the dictatorship in Cuba. In a deal negotiated during 18 months of secret talks hosted largely by Canada and encouraged by Pope Francis, who hosted a final meeting at the Vatican, President Obama and President Raúl Castro of Cuba agreed in a telephone call to put aside decades of hostility to find a new relationship between the United States and the island nation just 90 minutes off the American coast. Congress need not be consulted? Is Cuba easing its embargo on American products and American travel? Cuba no longer listed as state sponsor of terrorism. Obama claims “Todos somos Americanos” – “we’re all Americans”. Not at all. I was wondering, is Cuba easing Cuba’s embargo on American products and American travel? Will they not continue to shelter FARC & other known terrorists? Nothing on that in O’s speech. Castro said that he had spoken to Secretary Kerry about normalizing relations between the two country, adding that President Obama’s decision deserved “respect and gratitude.” He also thanked the Vatican, Pope Francis and Canada for their support in the process. Acknowledging that the blockade is established in law, Castro said that president Obama could modify its application, and he called on the US government to adopt measures which will benefit both countries. Castro called on the US government to remove the obstacles between the countries, dividing families – specifically he called for the re-establishment of direct flights, postal deliveries and telecommunications. “The progress we have already made shows that it is possible to find solutions to our problems,” he said. How is Obama going to prevent Cuba’s possible role in bypassing sanctions on Venezuela, Russia and Iran? Alan Gross on TV thanking all who helped in the effort to release him. My latest article at Da Tech Guy’s, Cuba’s American hostage, Alan P. Gross. Alan P. Gross, the American who’s been in prison for over four years, has started a hunger strike. that he was frustrated by the continued lack of effort by the U.S. government to orchestrate his release. In practical terms, the Cuban government is holding Gross hostage over the release of the Cuban Five, men convicted in federal court on espionage charges. Two of the men have been released from prison and returned to Cuba. 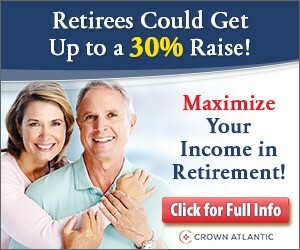 “And the clock is ticking for Alan Gross. On December 4th, 2009, Alan Gross, a private sub-contractor for the U.S. government, working to bring information to the Cuban people, was arrested in Cuba. Mr. Gross is a 64-year old development professional who worked in dozens of countries around the world with programs to help people get access to basic information. “Since 2009, he has been detained in Villa Marista – a prison in Havana notorious for its treatment of political prisoners by the Cuban National Security Agency. This is not a minimum security prison where foreigners are routinely held. It is a harsh, repressive prison –reserved for Cuban dissidents. “He is still being held at Villa Marista, and so I come to the floor to urge my colleagues – indeed, to urge the Administration – to do all it can to free Mr. Gross, and keep pressure on the Castro regime. “After serving four years of a 15 year sentence, this 64 year old American’s mental health is reported to be deteriorating and his life may well be in danger. A Cuban immigrant to Ecuador attempted suicide when denied entry. Following Justin Bieber’s acts of vandalism, Colombian and Brazilian authorities are having to deal with an outburst of graffiti. Maybe they ought to ban the little twerp from coming back, or better yet, make him clean it up with his own two hands. Authorities have focused on seizing drugs, not dismantling the organisations that peddle them. “This strategy is futile,” says former under-secretary of security for Buenos Aires province, Diego Gorgal. “It doesn’t change the supply, demand, or price of drugs.” It is also poorly executed. According to the latest International Narcotics Control Strategy Report produced by the US State Department, Argentine security forces seized 12 tonnes of cocaine in 2010; in the first six months of 2012 they confiscated only 3.4 tonnes. Operation Northern Shield, an initiative to improve Argentina’s border security through the installation of seven radars in the north, has flopped. Only three have been activated. Their backup? Forty-year-old aircraft. Raids on brothels in and around Buenos Aires lead to the rescue of almost 100 women forced into prostitution, Argentine police say. Authorities in Brazil’s largest city, Sao Paulo, fight a major blaze at a landmark building designed by modernist architect Oscar Niemeyer, The Latin America Memorial. D.C. Jews press Obama to secure subcontractor’s release from Cuban jail Alan Gross was arrested in 2009 while on a mission to hook up Cuba’s small Jewish community to the Internet; a rally planned for Dec. 3 is meant to raise awareness for his cause. Arms Smuggling versus Equestrian Tourism: Which matters most? U.S. trial ends over Ecuador pollution judgment against Chevron: The case is Chevron Corp v. Steven Donziger et al, U.S. District Court for the Southern District of New York, No. 11-0691. Uncovering Jamaica’s Jewish Past In the great Caribbean melting pot, one group is largely overlooked: Jewish refugees who settled centuries ago. Their descendants are unearthing graveyards to reclaim a piece of history. Organized crime prosecutor Nahaniel Murgas first said only the ship’s captain, first mate and a Korean official who watched the crew would continue to be detained and face charges of arms trafficking. He appeared later in the afternoon at the base where the crew members were being held and changed his version, saying only the ship was legally free to go. He left without further comment. Mientras dice que “no defiende la marihuana”, Mujica pide que ‘el mundo ayude a Uruguay’ en su ‘experimento’ con marihuana. Venezuelans go to the polls in local and regional elections on 8 December that are being widely seen as a referendum on the six-month presidency of Nicolas Maduro. Opponents accuse him of leading the country to economic ruin, but he insists his reforms are essential and popular. It’s [sic] means this entire thing, the whole of the macroeconomic mess, all the crazy dislocations of the last few years, the raspaíto, the impossible-to-find milk, the shoving matches for perniles, the cars that suddenly jump up in price as they roll out of the showroom, all of it (and, much worse, all of what’s to come) all of it is – to a much greater extent than almost anyone realizes – just a knock-on effect from the financial chasm left in PDVSA’s finances by the gasoline subsidy! China + oil = deal CITIC Mining Survey Agreement With Venezuela: Another Boondoggle? Brazil: Will the stadium meet the deadline? You betcha. At Da Tech Guy’s Blog: Colombia: The controversy started by . . . Justin Bieber? Linked to by Devil’s Excrement. Thank you! During the peace process, there is no cease-fire deal so the violence continues. In one of the deadliest strikes in years, the FARC killed 19 soldiers in two attacks on July 20, Colombia’s Independence Day. Jackson said he still intends to travel to Colombia in the coming days in hopes of working out an agreement. Jackson spoke those words wshile in Cuba, where he was denied access to another American, Alan Gross. The Rev. Jesse Jackson ended a four-day visit to Cuba on Monday without getting to visit a U.S. government development subcontractor who is serving a 15-year sentence in the Caribbean nation. The civil rights activist said he had requested access to Alan Gross of Maryland, but island authorities told him it couldn’t be arranged in time. In other words: Jesse Jackson was denied the chance to trade Alan Gross for the four imprisoned spies who are known as the “Cuban Five.” He also failed to have any impact on negotiations between the government of Colombia and the FARC terrorists. And these failures are being reported as something unexpected. What these crack reporters fail to cover is perhaps more significant than what they report. Above all, they fail to raise essential questions: Who appointed Jesse Jackson to the role of mediator? Who is paying for his trip? And one more question: Who will be paying for the trip to Colombia? 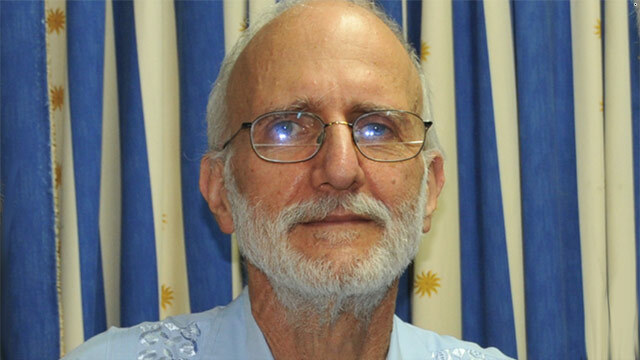 Is Washington engaged in a negotiation with Havana to try to free U.S. Agency for International Development contractor Alan Gross from a Cuban jail? If so, what’s on the table? From the looks of it, Cuba wants “the release of several Cuban intelligence officers convicted in 2001 of spying on the U.S.” in exchange for Gross’ freedom, rather than a ransom.